Here’s a terrific and fresh example of the power of “User Generated Content” video on YouTube and iFilm. Like a lot of Social Media Marketing, this video had some unanticipated results, both good and not so good results. 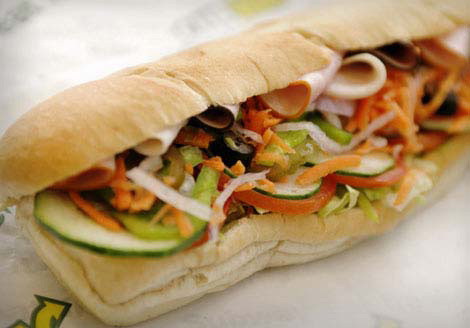 Subway sued their arch rival Quiznos and iFilm, the web site owned by Viacom that ran a contest, asking the populace to create their own homemade videos, or “User Generated Content” to tell them how they think their Quizno’s subs stacked up against the Subway sandwich. Subway stated in their deformation law suite that many of the videos made false claims and depicted its brand in a derogatory way. We all have grown up on commercial rivals; Coke vs. Pepsi, McDonalds vs. Burger King, Miller Lite vs. Bud Lite, Colgate vs. Crest, Progressive & GEICO, and the latest two, Mac vs. Windows and eHrmony.com vs. Chemisty.com. The difference here is that the customer now has the power in their own hands to create media (content) and distribute that content worldwide for free. In the clip two young men are filming a mock Quizno’s commercial trashing the Subway brand. The question is; should Quizno’s assume the liability for what its customers are saying about its brand and its competitors? Mostly likely not. Unfortunately for Subway, this situation is a little like quicksand, the more Subway struggles and yells, the deeper it sinks by creating the additional buzz that circulates about the videos even more driving more exposure to the Quizno’s brand. There’s a good chance that if Subway never sued Quizno’s, I would never had heard bout this video, and now either would you. This also is a good example of the power of viral marketing using of Social Media through blogs, YouTube, & RSS feeds. Some of these commercial parodies have been viewed by more than 50,000 potential customers.